For her wallcovering collection Bloomingdale, Origin - luxury wallcoverings has been inspired by the traditional classic English designs. Beautiful historic flower designs and elegant birds of paradise are combined with a matching natural plain wallcovering. 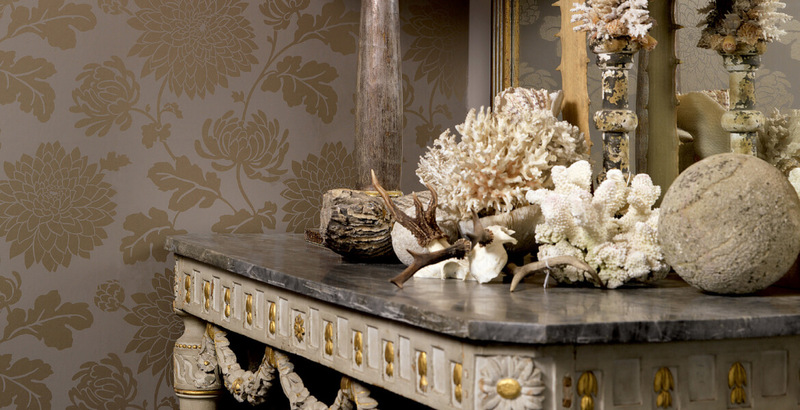 Bloomingdale also offers wallcovering with a toile de jouy and elegant ornaments. All in beautiful modest colours with an occasional contemporary colourful touch.